Tessa Lark & Michael Thurber: Sample Programs for 2018-19 coming soon! 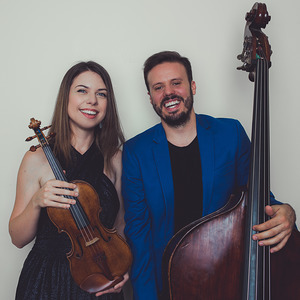 Tessa Lark & Michael Thurber offers unique programming characterized by an ecletic mixture of bluegrass, classical, jazz, and original works. The duo offers the flexibility to cater programs to the specific needs of the presenter. Sample programs for the 2018-19 season coming soon!